Beekeeping is seasonal, regional, and nuanced. This is what makes learning to keep bees challenging. 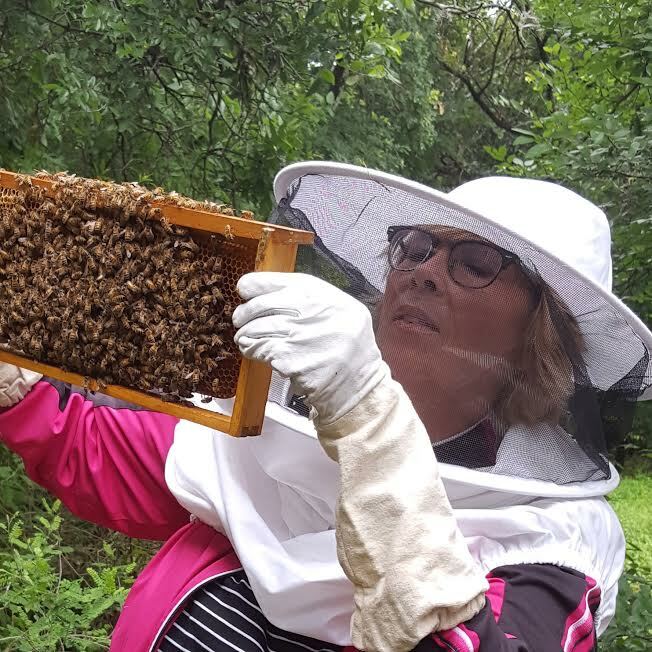 Finding a mentor beekeeper to aid you is terrific, if you can find one you can trust and whose philosophy aligns with yours, willing to dedicate the time to you and your bees. The DIY approach of taking a few classes and reading books and blogs can be a great way to get started. Unfortunately, many of the beekeeping books are written by northern beekeepers, who have very different concerns and seasonal considerations than those of us in Texas. And did you know know that a beekeeper with one hive generally will have, at most, 6 hours of hands-on beekeeping experience at the end of their first year? This is exacerbated by the fact that you will only learn how to identify and handle situations presented to you by your hive. Lucky enough to not have any disease in your nest your first or second year? Have bees that do so well that fall feeding isn't your concern? Sounds terrific, until you realize you learn a great deal more when things go wrong than when they go right. Our apprenticeship program is now in it's fifth running, and is based on feedback of working with hundreds of new beekeepers the last 3 years. This 6-month intensive, hands-on beekeeping apprenticeship program will provide you more than 50 hours of in-person instruction, and more than half of those hours will be spent suited up inspecting bee hives. Rather than only having access to 1 or 2 hives in your own backyard, you will have access to more than 150 hives. This will allow you 150 times more opportunities to witness various bee diseases, pests, and other circumstances that require beekeeper intervention. Further, you will receive 5 times the number of hands-on hours checking hives in our six month program than you would in an entire year of managing one hive. ****Note: The apprenticeship is held twice a year, and it sells out each session. The Fall 2019 Session is now open for registration! Tara's mom, perviously terrified of bees, is well on her way to becoming a beekeeper! Get 5 years of beekeeping experience in just 6 months! Your registration includes lunch each session. These lunches will allow us to get to know one another more outside the bee yard, and allow you to get to experience the amazing farm-to-table scene in Austin at restaurants such as The Hightower, TRACE, and Dai Due. Lunches will either be a sit-down lunch in the restaurant, or a boxed lunch for those days spent mostly in the field. Lunches include your meal, non-alcoholic beverages, tax, and tip. We will also provide select beverages for your classroom time each month. Please ensure you mark the following dates in your calendar! Can't make one of these? Email us and let's chat about if the program makes sense and if we can make up that work in other ways. The Apprenticeship program is limited to 18 people per session to ensure a truly-hands on experience, and does sell out. Classroom sessions will be held together as a group, and you will be broken into 2-3 groups for a more hands-on experience for all beekeeping work. Ready to become a master beek? Are you already a beekeeper and already have some of these tools? Select "N/A" for your protective gear at registration and we will email you to learn what gear you already have! Check out our FAQ for a list of common questions and the scheduled dates listed to the right and mark your calendars! Ready to start your own hives, and put into practice all that you will learn next year? You can choose to add on a package of bees for next spring. * Don't hesitate to reach out with questions! Note that this does not include your woodenware. We will work together your first session to determine what hive type is best for you and your bees! Not ready to sign up for bees now? No problem! We can help you order your bees once the program starts. If you are concerned that you will miss one of these days, email us and let's discuss if we can make it work! You can make up to 1 session with the next apprenticeship class. *Note that we strongly recommend all of our students start two hives, instead of just one. This is because you can share resources between hives, and it is our experience that it is easier to keep two hives strong and healthy.